The Seventies were a very long time ago. It was a time of Cold War, industrial unrest, power cuts, states of emergency and economic decline. The Right were alarmed at the possibility of a coup from the Marxist Left, perhaps led by Anthony Wedgewood Benn. The Left were, in turn (perhaps with more reason) worried about the prospect of a military takeover by the Right, perhaps with Lord Louis Mountbatten being appointed as its symbolic head. None of this news. The Seventies have been well covered in recent years, in non-fiction (such as Dominic Sandbrook’s excellent State of Emergency) and in fiction (Jonathan Coe’s The Rotter’s Club is just one example). 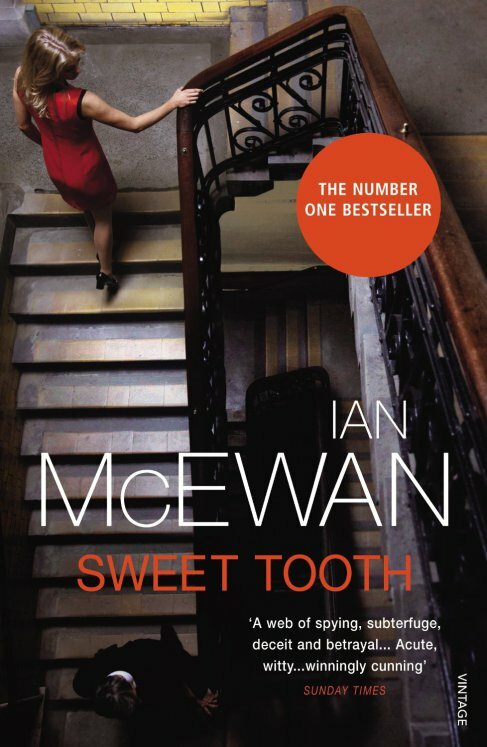 The era, specifically the Heath years (1970-74), do, however, provide an excellent backdrop for Ian McEwan’s latest spy novel Sweet Tooth. Let’s just make things clear: despite the name, this isn’t a book, it is a film. Nor is it the famous Disney cartoon, the one you probably saw first as a child and doubtless have fond memories of. It also isn’t the forthcoming one with Cate Blanchett and Benedict Cumberbatch in either. That’s Jungle Book: Origins due out in 2018. Finally, it isn’t the now largely forgotten 1994 live action version. But I doubt you ever thought it was anyway: It is largely forgotten. Episodes is a comedy series about people making comedy series. Following their hellish experience adapting their own successful British sitcom into “Pucks” (a US remake, wrecked by producer interference) British husband and wife comedy writing team Bev and Sean (Greig and Mangan) find themselves back in Hollywood. With Sean, at any rate, lured back by the prospect of cash, the duo escape the extramarital shenanigans that characterised the first three series of Episodes but otherwise find themselves enduring the same Hollywood nightmare. Again. And again. And again. If you’ve never seen Friday Night Dinner before, lucky you: you are in for a treat. Robert Popper’s sitcom has a laughably simple premise. 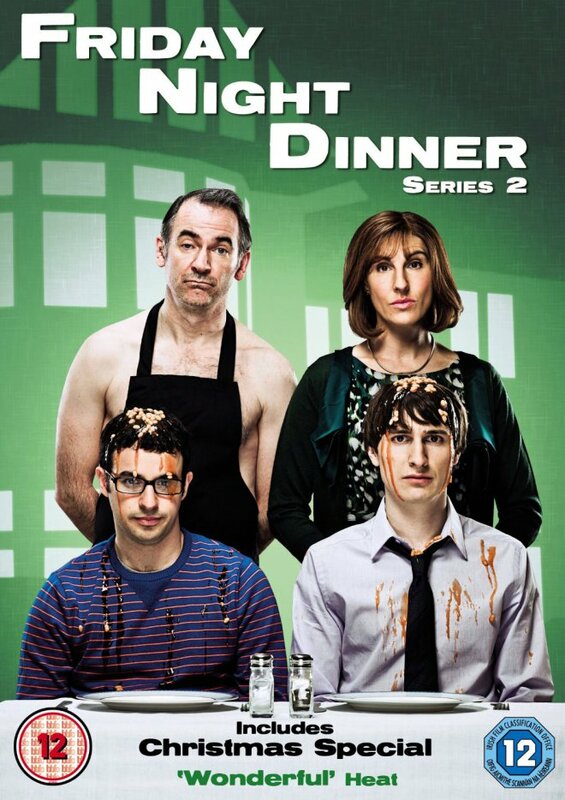 A middle aged married Jewish couple Martin and Jackie Goodman (Paul Ritter and sitcom veteran Tamsin Greig) are joined every Friday evening for dinner by their two twentysomething sons Adam and Jonny (Simon Bird and Tom Rosenthal). That’s really all there is to it. And it’s hilarious. Much of the humour comes from the silliness of the two sons who in the first episode find themselves engaged in a virtual house civil war over Adam’s childhood toy bunny “Buggy”. The duo later engage in a further feud when it emerges Jonny is having an affair with an older woman at his work. Dublin, 1985 and teenager Conor is having a tough time. His home life is hell as he and his older brother and sister are forced to support each other as their parents are totally distracted by an ugly break-up. What’s more, Conor is forced to attend a tough new school where he faces a daily battle to avoid being beaten up by the other pupils as well as by the priests who are supposed to be running it. As if all that wasn’t enough, the Irish Republic is in the doldrums with many young people pinning all their hopes on escape to the UK, itself experiencing record breaking levels of unemployment under Margaret Thatcher at this time. Imagine it’s March 1977, you have 8p and you want a comic. Let’s assume you want a boy’s comic: it was a sexist world back then. There are lots to choose from. Perhaps you want a funny one The Beano, The Dandy, The Beezer, The Topper, Whoopee!, Buster or Whizzer and Chips? Or something harder edged? Tiger, Battle or a new science fiction comic with a free “space spinner” on the front?